It is now two months (at time of writing) since the most likely of starting points for anyone who needs or wants to lose weight – The New Year Diet Resolution. Two months on, honestly hows it going? The most likely failure point for anyone who starts their diet on January 1st is just one month on, around the end of January – reach the second month with the diet still being adhered to and the chance of success increases significantly. Whatever your chosen method be it: a diet pill, diet programme or a fitness regime – the over riding factor is that most methods work, it lack of motivation and desire that often leads the diet being interrupted and all the good work being undone. If you are struggling to realise the good intentions of a couple of months ago here are few pointers to help you get back on track. 1. If you think the past two months have whizzed by – the next two will come ago with equal velocity. This time though the sun will be out (hopefully) which means it will be harder to hide behind baggy clothing – springtime means skimpier clothing. 2. You still have time to start over if you have failed miserably in your New Year Diet attempt – there are still several months until the holiday season starts in earnest. There is till time to lose a stone a month! 3. Now is the ideal time to join a gym (if you can afford it) in these miserable economic times memberships of gyms and fitness centres are struggling for new clientele – prices have come down quite considerably in the past 6 months. Take advantage now. 4. Join a diet programme – join a community. Friendly competition, support and a shoulder to cry is absolitley essential for your weight loss success. It does not require the mind of Stephen Hawking to decipher that combining alcohol and the art of attempting to lose weight is not an equation that has many positive outcomes. 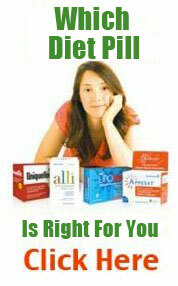 But there is some good news for dieters or anyone planning to lose weight that can’t resist a tipple. 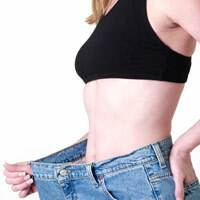 There are certain alcoholic drinks that will not put too much of a dent in your weight loss progress. The first and most important thing to remember is moderation. Without moderation all of this can be consider pretty much void. 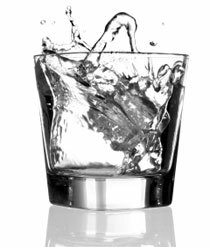 Pure Spirits – pure spirits such as Vodka, Rum, Bacardi or Gin are possibly the best alcoholic drink to consume when watching your weight so long as they are taken neat without any introduction of any mixer. If a mixer is a something that has to accompany then ensure that it is either a tonic water or a low sugar coke. A standard measure of the above pure spirits it approximately 100 calories so make sure you factor these into your daily allowance if on a calorie controlled diet. Light Beer – if you are a bloke and the thought of propping up the bar holding a bacardi and (diet) coke drains away your masculinity, a light beer is the next most suitable option. A light beer contains around 100 calories and the suggested in take is one to two pint glasses a day. Still wines are less fattening than their fizzy counterparts. Every other form of alcohol is advised against.